Latent Pattern Transmission: What’s so Elusive about Open Educational Practice? What’s so Elusive about Open Educational Practice? Although openness in education, or OEP is perhaps one of the most important developments in higher education during the past decade, there are factors that inhibit conversation and practice. Some of these factors and strategies are outlined. For what seems quite a long time I have been advocating for the adoption of what we are now calling Open Education Practice (OEP). It started out with open source software, and then open educational resources, and more open governance, supporting agile methods, and now it has expanded quite broadly. The rationale for openness itself has evolved and elaborated as well to include (reduced) cost, (improved) control, adaptability, agility, authenticity, efficiency, sustainability, and just general goodness. I think now for the most part it is generally recognised that openness represents an alternative way of being rather than just a thing that we do or things that we make and use. I know a lot of other folks (close colleagues and those who I have admired from a distance) who have been early adopters and advocates of open practice going back a good deal more than a decade and I know that a lot of them have left the university to pursue their openness interests in a range of other types of organisations. This should give all of us a little pause to think about why this is the case. I have been giving some thought to my experiences with openness and started outlining some of the factors that make it challenging to have meaningful discussions about openness and to move the agenda forward at universities. It so happened that the Online Learning Consortium issued their call for proposals for their 2014 meeting while I was mulling this over and I thought that it would make a nifty topic. So I took a few minutes and submitted a brief proposal - as much to see who will show up and to see if my experiences have been unique. I am guessing that they are not unique, but know that they are informed and that they are incomplete. So, I'll be talking a bit on the topic in a few days and I thought that I would share the main points here as well. On one level we tend to talk about open educational practice in terms of the artefacts created, appropriateness of licensing agreements applied, and such. This framing of the dialogue constitutes OEP as a host of things including open education resources (OER), open access publishing, free and open source software, open policy, open textbooks, open data, open technology standards, open metadata, open file formats, open research, and more broadly open education. Although the range of artefacts associated with OEP collectively gives us something tangible to talk about, and some good examples of what our practice way include that are reasonably easy to measure and do, at its heart OEP is more fundamentally about the nature of educational experiences. It is about an approach to our educational practice, the assumptions that we make about the importance of co-creation, the ability to participate in an increasingly digital culture, how we view the relationships among learners and teachers and content and activities. It is about reducing barriers to collaboration, flexible and personal learning, and promoting digital and information fluency. It is about liberating intellectual capacity, promoting expression, and active participation in culture creation - and it invites openly participation in the world beyond the university. It says something about what we think a university education should offer. The “mythic” assumptions of software and information, which provide a self-imposed posture of playing the role of the victim who is captured by artefacts and rules representing a digital culture that is fundamentally immovable. Digital Renovation, which liberates one to change those things that are digital to meet our needs and express our meanings. One of the unifying threads connecting these topics was that they are both tied to the barriers and costs organisations either create or relieve. These are also core concepts associated with OEP in terms of internal capacity and educational objectives. We recognise too that OEP impacts some of the cultural normal of many colleges and universities, and may also challenge the ways that some of our commercial partners work. This is particularly true of those vendors whose business models are based on wealth generation through limiting access to information - that is by promoting mythic assumptions and increasing barriers to digital renovation. Openness in education, or OEP is perhaps the most important development in higher education during the past decade. The movement has resulted in dozens of education collaboratives, millions of open resources, new business models, Massive Open Online Course (MOOCs), micro Open Online Courses (mOOCs), and an explosion of alternative higher education organisations. Although there has been no census, we know that it has improved access to data, research, and educational opportunities for individuals and by extension has help the growth of knowledge and perhaps broader social capacity and quality of life - at least for some. State and national governments have pledged commitments to open public resources, as have international agencies, while a number of public funding agencies and philanthropic foundations have mandated that whenever their funding is used, all resulting intellectual property will be made available under an open distribution license. That is, it has captured the imaginations of our funders, policy makers, and the media. There is no escaping it – OEP has become important. WHY IS IT IMPORTANT THAT WE ARE PAYING ATTENTION? I have argued (and will in my next post), that openness and OEP in particular promotes traditional values of the academy and is perhaps one of our more productive counter-cultural expressions addressing the excesses of neoliberal economics as applied to higher education. We all recognise that change in the higher education sector has been more rapid and perhaps substantive than many are used to and prepared for. And as members of the college or university community there is an expectation that we are preparing for an uncertain environment. In the contemporary university this places a certain pressure on boards and executives and other managers to anticipate what “sector” trends mean to the health of the university as a home for scholarship. Why does it seem difficult to develop a meaningful, robust, and sustained discussion about openness on many campuses? Why is the topic of openness so elusive to so many university leaders? How does executive leadership effectively advocate for the dialogue? And how can members of the broader university community lead, participate in, and support the conversation? Is the university the best place for open education practice and in which other organisations can we find good OEP examples and models? I would suggest that the conversation and practice is made more difficult by at least 6 factors. This is not an exhaustive list and in many ways simply points to much more fundamental attitudes and broader economic, social, and technological factors. But, it is how I have experienced some of the challenges. And perhaps is a good place to start. 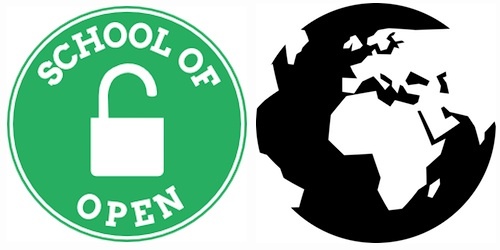 Open-washing: Like “organic” and “green” the term "open" has been used in ways that destroy the meaning of and educational benefits of openness. Open-washing makes it difficult to discuss openness in a rigorous way because we are exposed to the use of the term in ways that are intentionally deceptive. 2) Look What I did! Isn’t Great? Culture of Production not Participation: The power behind Openness is its potential to catalyze creativity and growth through collaboration, participation, and contribution. The launching of a new OER repository, an OER based course, or a MOOC has become the crowning achievement of OER participation, rather than contribution to an established community. Contributing to an Open Project is much more difficult (culturally) and harder to rationalize economically (funding), than starting-up a similar project with institutional branding. Many universities and university staff are happy to share what they have created, but are less culturally disposed to participate in an established community, use what others have created, or join an existing open project. 3) Openness –what do you mean? General Understanding and Discrimination: The terminology surrounding openness has become quite messy. It is not difficult to understand why many well-intended colleagues have difficulty understanding and discriminating between openness, transparency, and fee free resources. It is not uncommon to have repeated discussions with colleagues during which the differences between OER and open enrolment are untangled. This is different than open washing as it is not intentional, but open washing contributes to the confusion. Intellectual Property, Copyright, and Licensing: The relationships between intellectual property and access can be a pretty esoteric topic. The issue is made more messy by the corporatisation of the university environment during the past 35 years, the pressure to develop external sources of revenue through commercialisation of intellectual assets through re-licensing and transfer and the understandable erosion of trust between university management and teaching faculty. In our current context openness seems counter intuitive. 5) You can Only Share it if You Can Find it. Data and Information Management: The effective use, capture, and sharing of OER and other open resources requires some capacity to manage data and information openly. Anybody can create open resources, but it takes some intent to make them discoverable. Currently its storage tends to be distributed, which is just great, frequently permissions need to be verified, and principles of access and versioning need to be understood and supported. 6) Do I Get any Credit for Doing This? Recognition: Faculty often indicate that although they would like to engage in OEP, the time spent and outputs attained are not currently valued by their university in terms of workload, promotion, and tenure. How can we recognize, value, and incentivize the creation and use of OER within the academy? If we take seriously our role in information dissemination and knowledge growth, and we really do think that openness (sharing effectively) is an important catalyst, then should participation in an open intellectual economy be rewarded formally and meaningfully? Establishment of workflows, support, and structures liberating value through discoverability. Promoting publishing in open access journals, use and creation of open textbooks, and recognition for reuse rather than creation. If you have any additional factors to contribute or strategies you have tried or seen others try, please feel free to contribute at the OLC session or if it is more convenient feel free to post a comment here. If you are at the OLC meeting this year, it would be great to see you there, hear your thoughts, insights, observations, and experiences. What’s so Elusive about Open Educational Practice? by Ken Udas is licensed under a Creative Commons Attribution 4.0 International License.